Finely grate the zest of the lemons into a medium saucepan. Squeeze juice from the lemons. You should have around 1 1/2 cups of juice. Add lemon juice to the saucepan, along with the sugar. Cut butter into small pieces and add to the pan. Set the pan over low heat, and stir until the butter has melted and the sugar has dissolved. Strain eggs through a fine-mesh sieve into the lemon mixture. Cook for 10-15 minutes, stirring constantly. As the mixture begins to steam, it will thicken, take on a creamy consistency, and coat the back of a spoon. 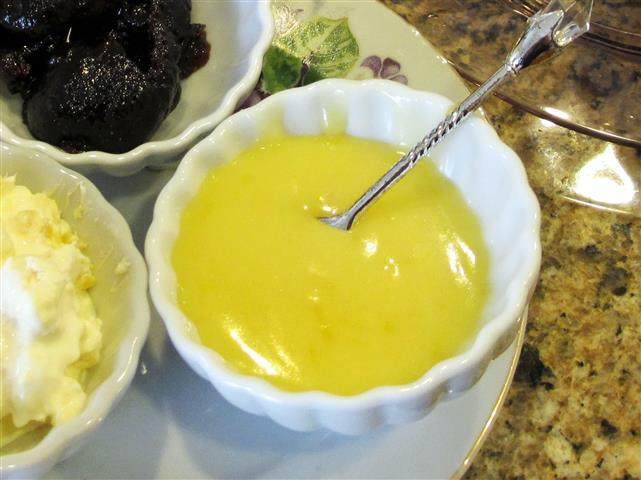 When lemon curd is thick and creamy, remove from the heat. Fill hot sterilized jars with the lemon curd to within 1/8 inch of rims. Wipe rims clean and top with hot lids. Screw bands onto the jars until finger tight. Process jars in a hot water bath (212 deg F) for ten minutes. Remove jars immediately and set upright on a clean towel, or wooden surface, away from drafts. Let jars sit undisturbed for 12 hours. Check for proper seals. Label the jars and store in a cool, dry place for up to a year. Makes 7 half-pint jars.